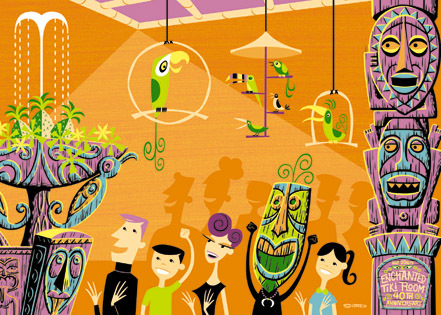 The Enchanted Tiki Room 40th Anniversary Event was held at Disneyland in California on the 20th September 2003. 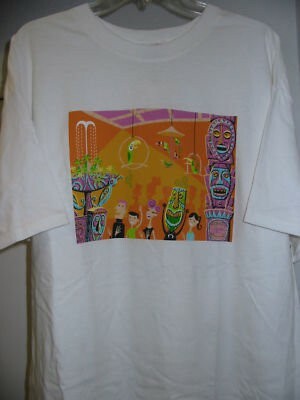 Shag attended from 10am to 1pm to sign merchandise and talk to collectors. 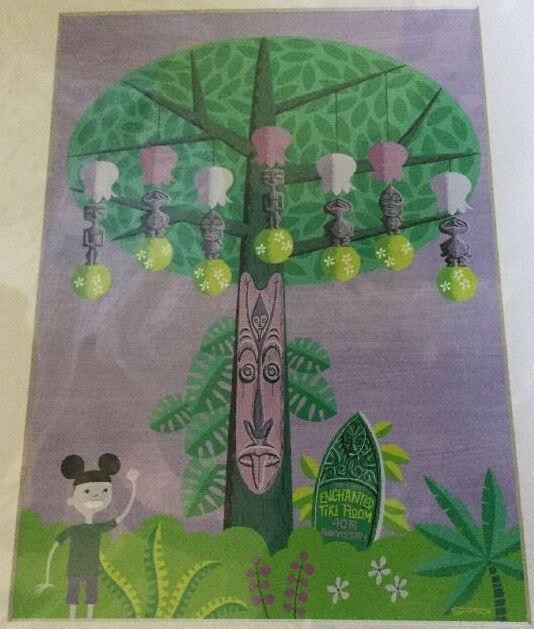 The merchandise release included four original paintings, two limited edition serigraph prints, three matted mini-prints, four postcards, three handbags, three purses, a puzzle, three mouse mats, a neck charm, a watch, two ceramic mugs, two Tiki mugs, four t-shirts and three aloha shirts. 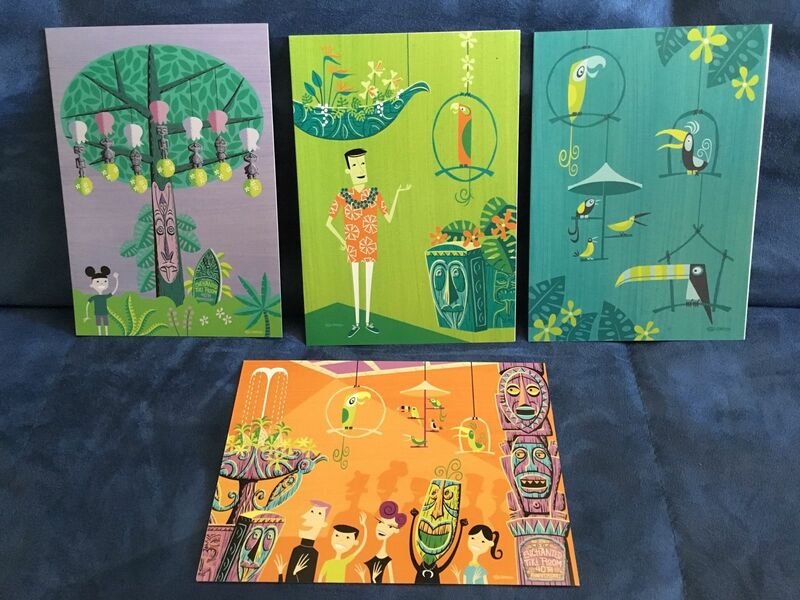 The four original acrylic and vinyl paint on wood board paintings were One Enchanted Evening, Tangaroa, Tiki Room Aviary and Waking Jose. 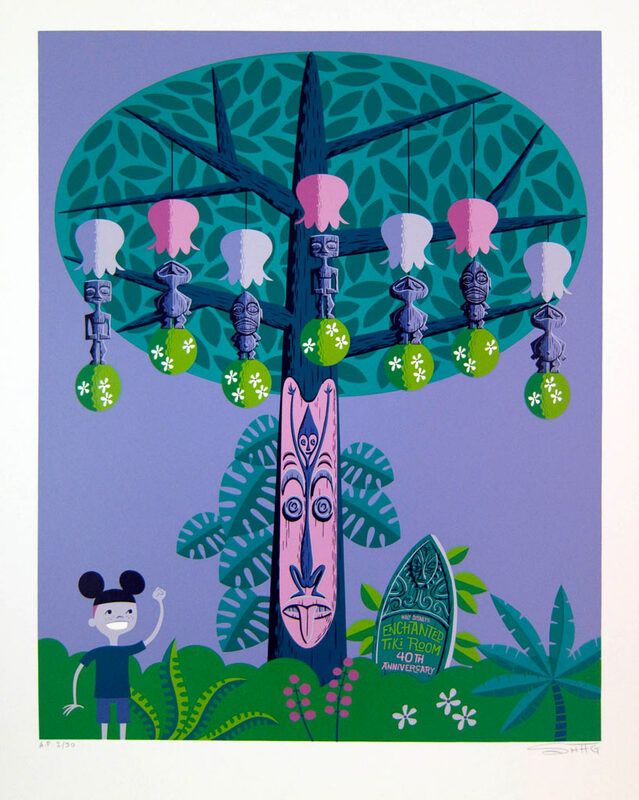 The paintings One Enchanted Evening and Tangaroa were released as limited-edition serigraph prints. 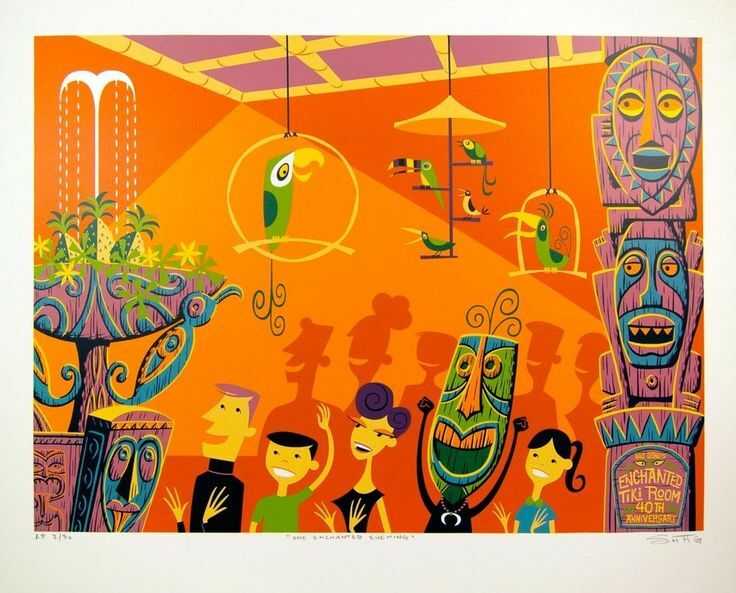 The thirteen-color serigraph print was produced in a limited edition of 300 copies, plus 30 artist proofs and 15 printer proofs. 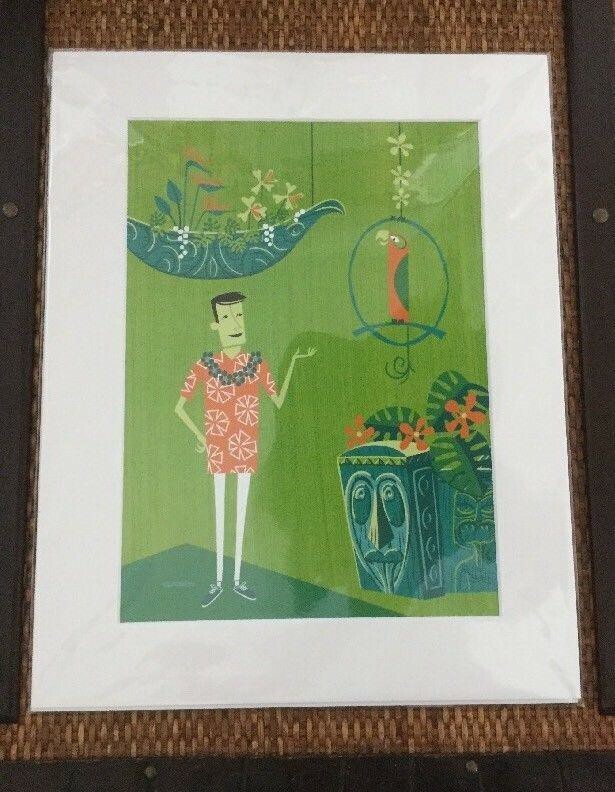 All 300 of both Enchanted Tiki Room 40th Anniversary serigraph prints sold out on the first day. 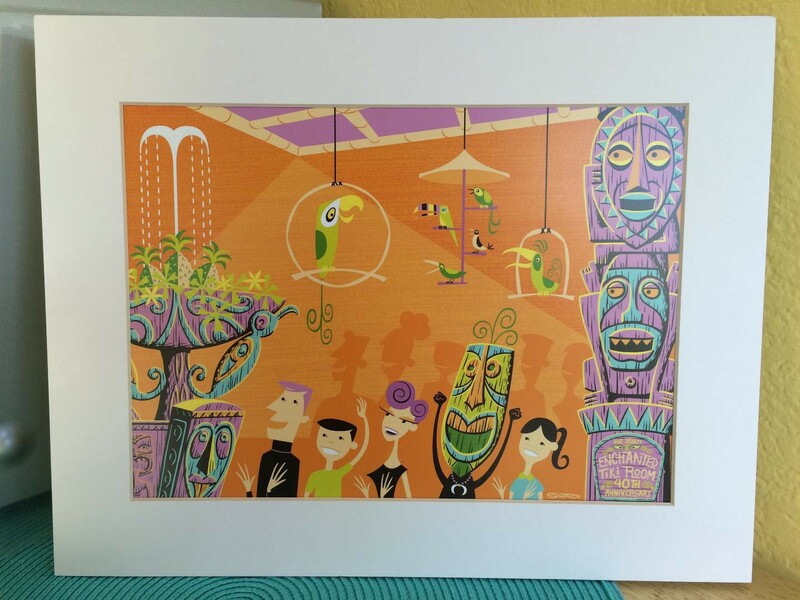 The One Enchanted Evening, Tangaroa, and Waking Jose paintings were produced as 11” by 14” open-edition matted mini prints. 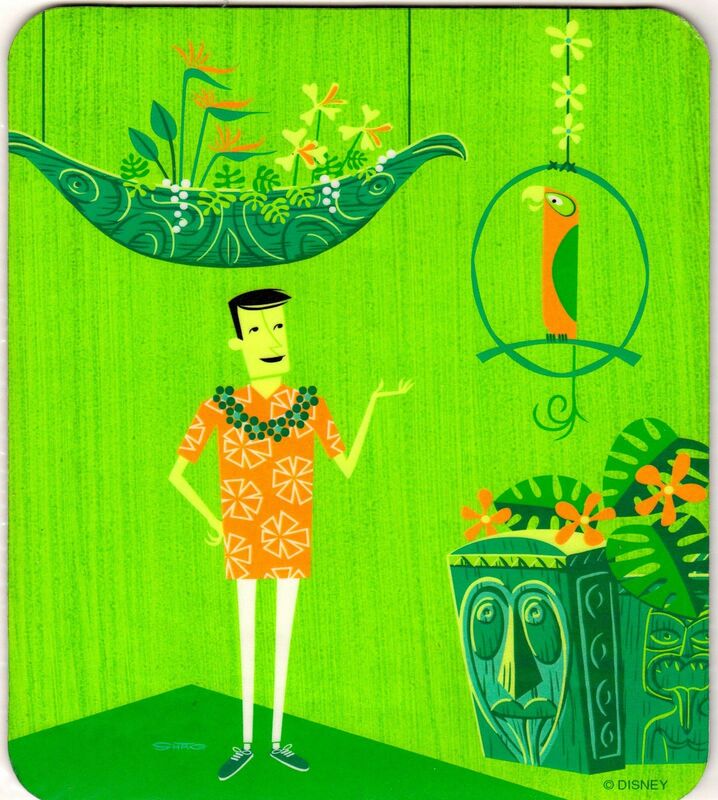 Four blank greeting cards were produced of the images Tangaroa, Waking Jose, Tiki Room Aviary, and One Enchanted Evening. 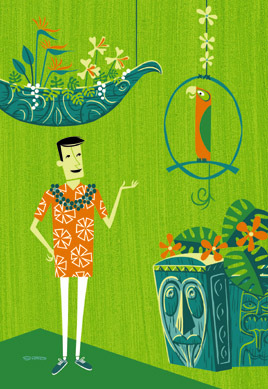 Three handbags and purses were created for the Enchanted Tiki Room 40th Anniversary Event using three of the images produced by Shag. 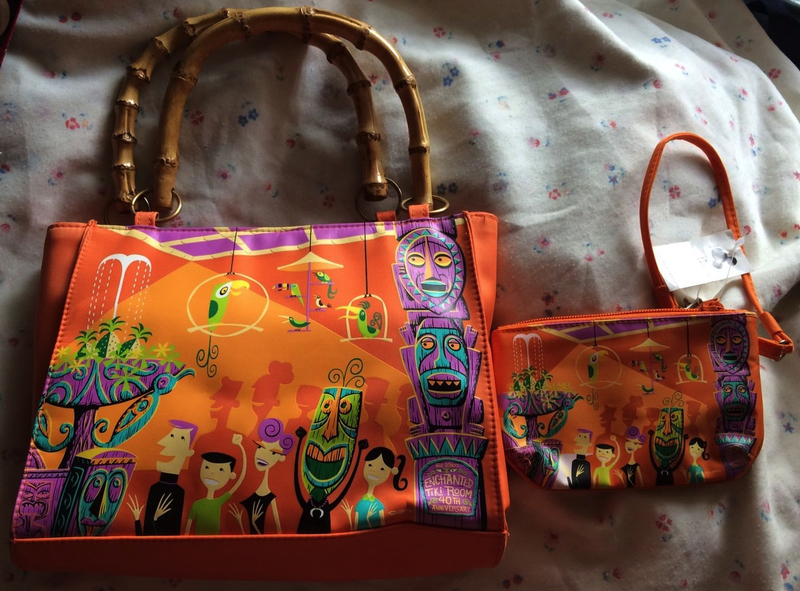 The handbag measures 9.5” by 7.5” and the purse 6” to 4”. 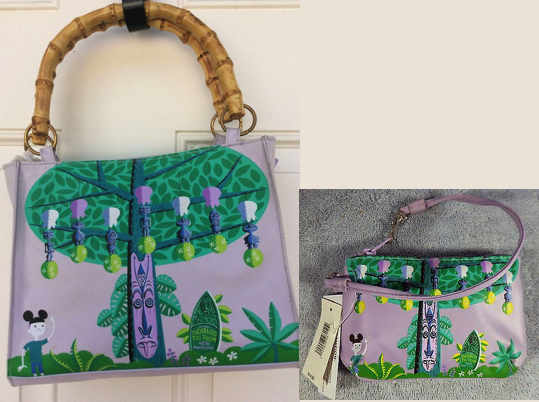 The handbag is made from water-resistant nylon with bamboo handles, a zipped inside pocket and a magnetic button latch. 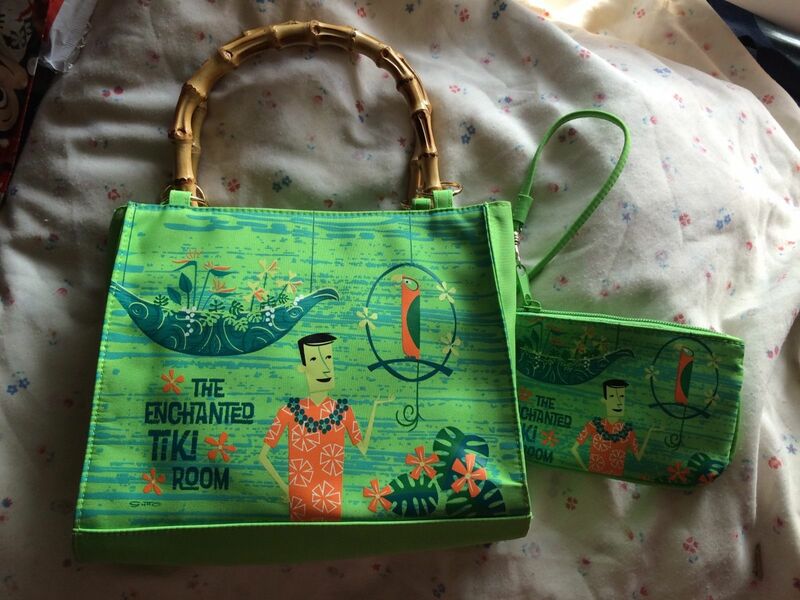 The purse is made from the same material and has a zipped opening. 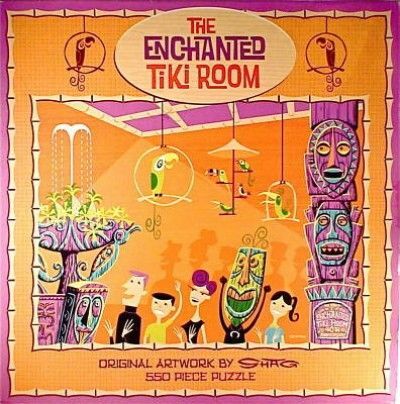 The One Enchanted Evening Puzzle from the Enchanted Tiki Room 40th Anniversary Event measures 24″ by 18″ and is constructed by 550 pieces. 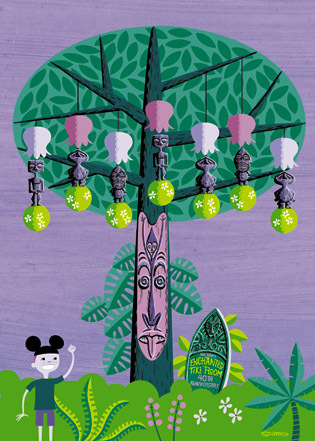 The One Enchanted Evening, Tangaroa, and Waking Jose paintings were used to create three computer mouse pads (size 7.5 by 8.5). 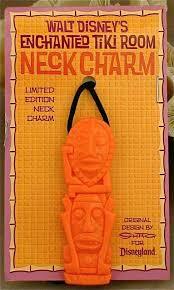 A 3″ long neck charm was created for the Enchanted Tiki Room 40th Anniversary Event. 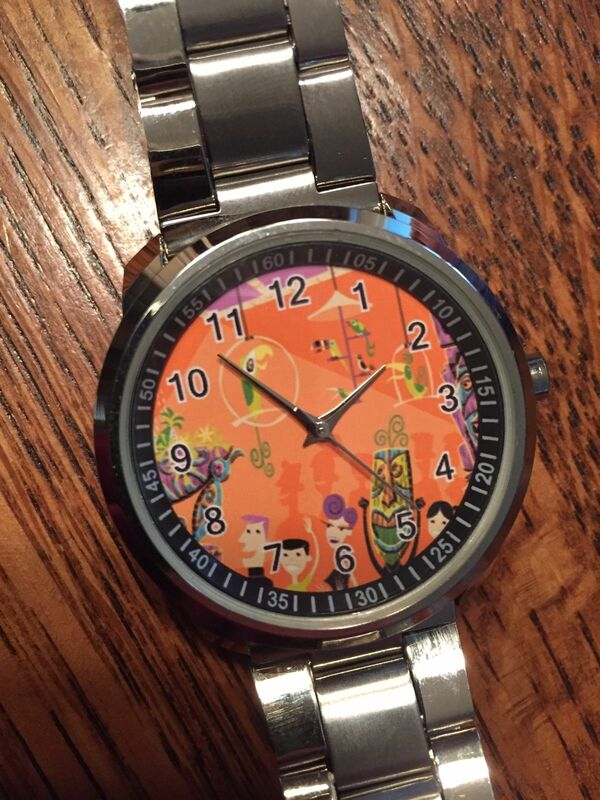 A One Enchanted Evening Watch was created for the Enchanted Tiki Room 40th Anniversary Event. 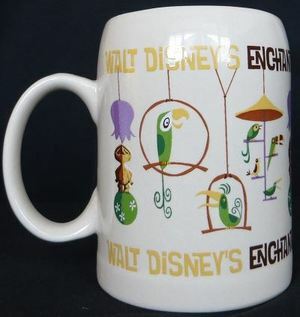 Two mugs were produced for the Enchanted Tiki Room 40th Anniversary Event. 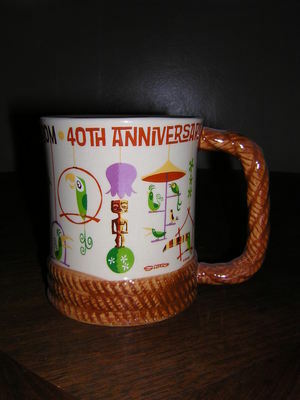 The Enchanted Tiki Room 40th Anniversary Rope Mug measures 4″ by 3.5″. 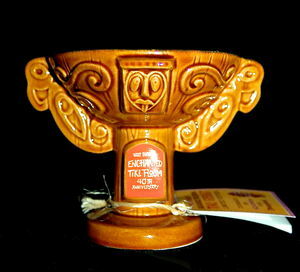 A Tiki Pole Mug and Goblet were manufactured by Tiki Farm for Disney to celebrate the Enchanted Tiki Room’s 40th Anniversary in a limited-edition of 500 copies each. 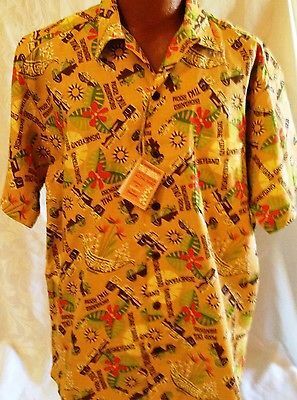 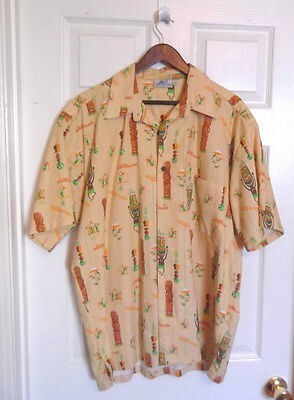 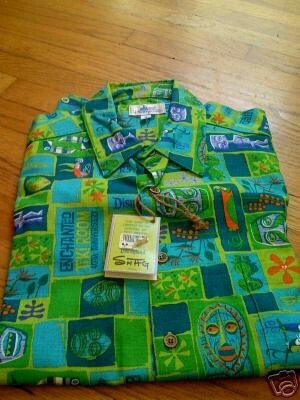 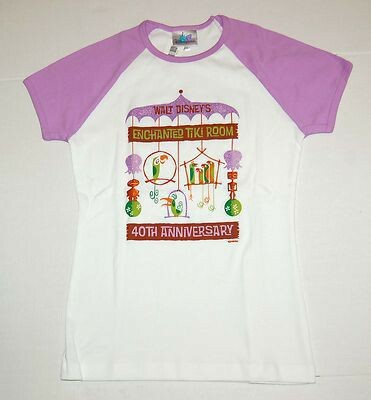 Three different aloha shirt designs were produced for the Enchanted Tiki Room 40th Anniversary Event.